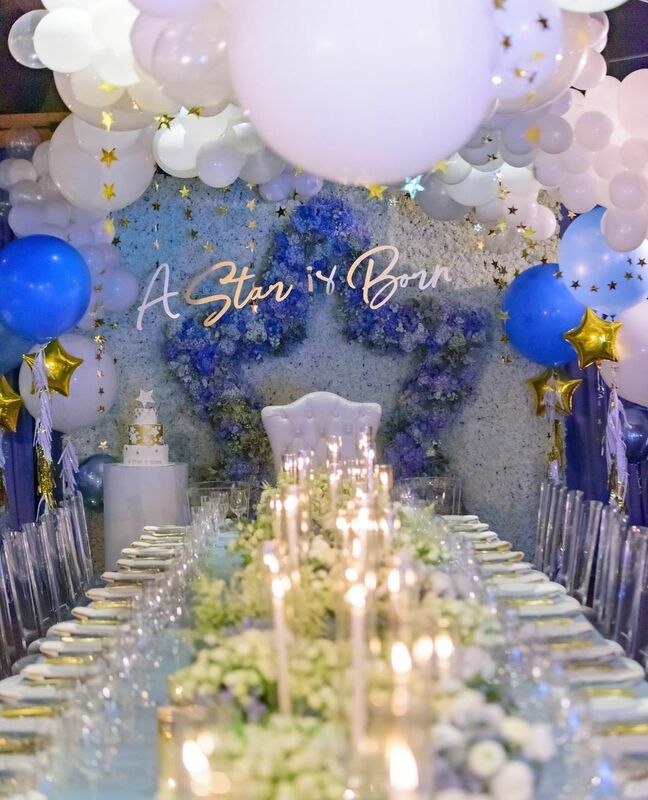 This birthday celebration was such a special delight. 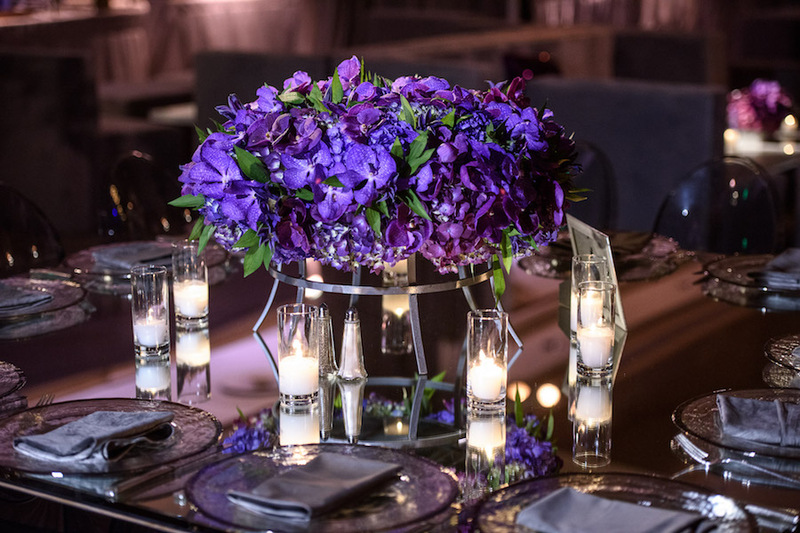 The entire room was filled with a dark ambiance to highlight to tone of the purple decor. 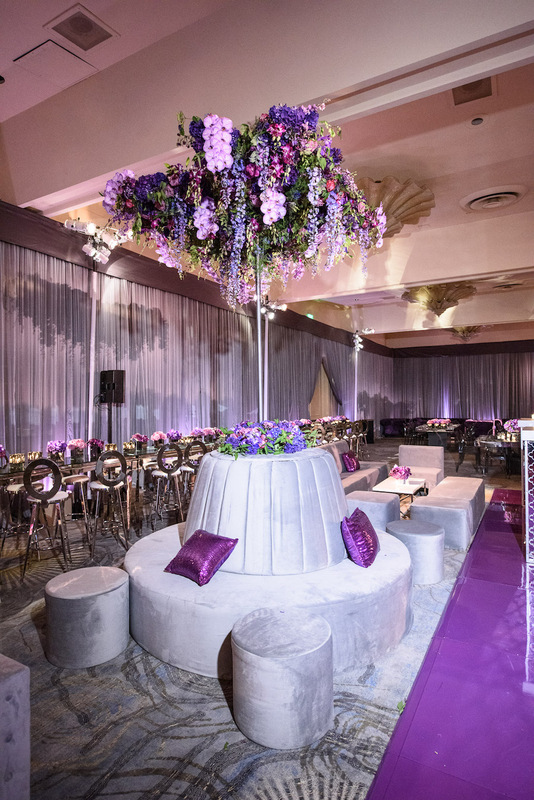 This Bar Mitzvah was held at the The Beverly Hilton and planned by Events By Goli. 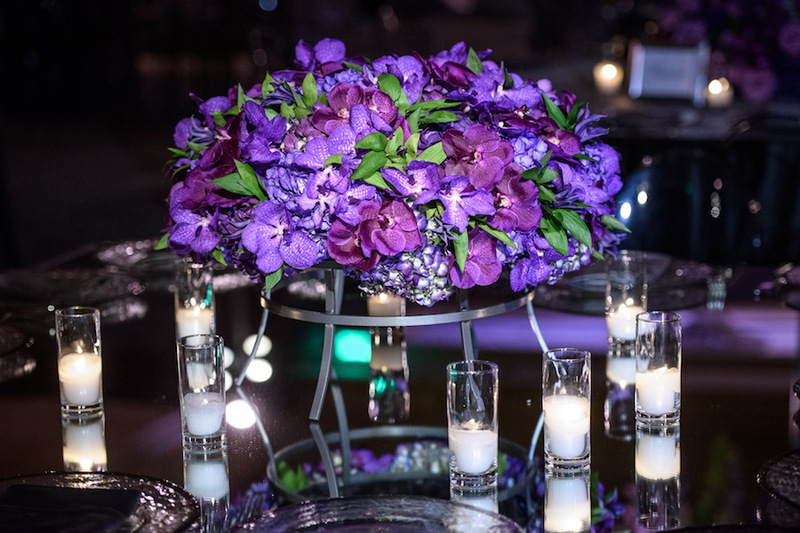 Each table had a mirrored glass cover that based a mirrored vase and purple florals. 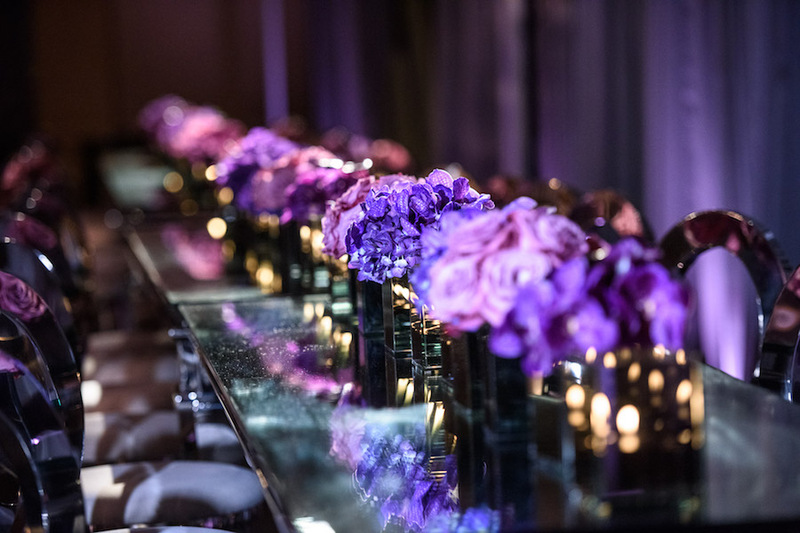 Around this gorgeous display were candles that made the table that much more elegant. 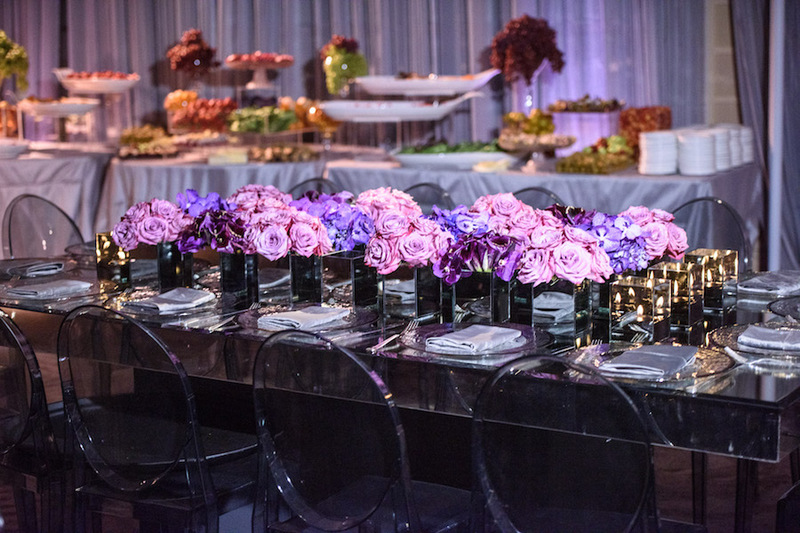 Placed at every seat were black-toned dinnerware with gray cloth napkins. The children were entertained by music put on by LIV Entertainment Group who rocked the night. 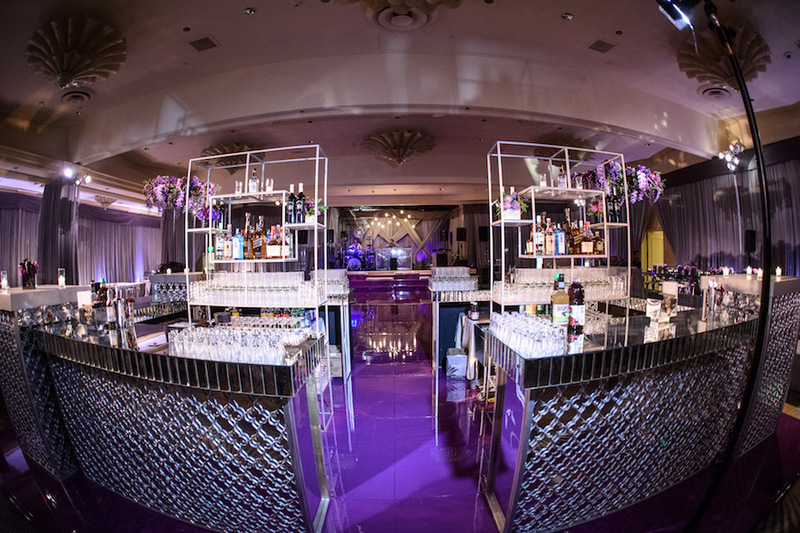 Parents also got to enjoy the party with drinks from the bar placed in the back center of the room. 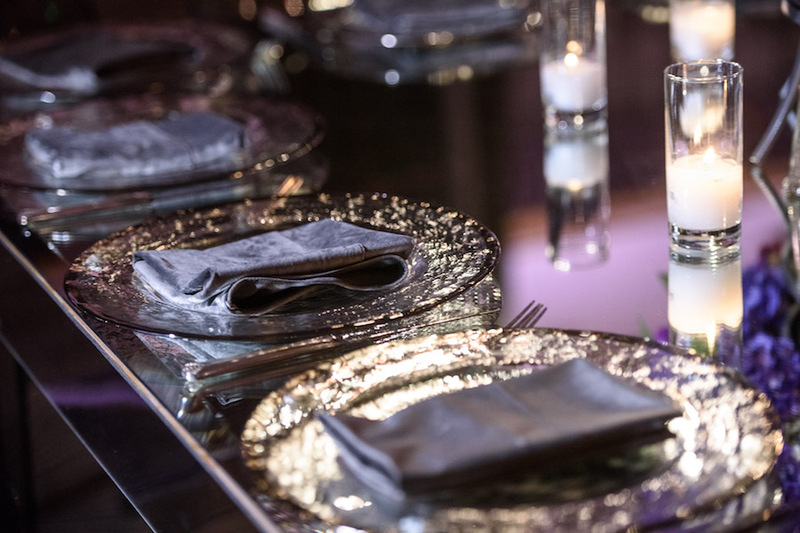 It held the same theme with mirrored tile and clear glasses. 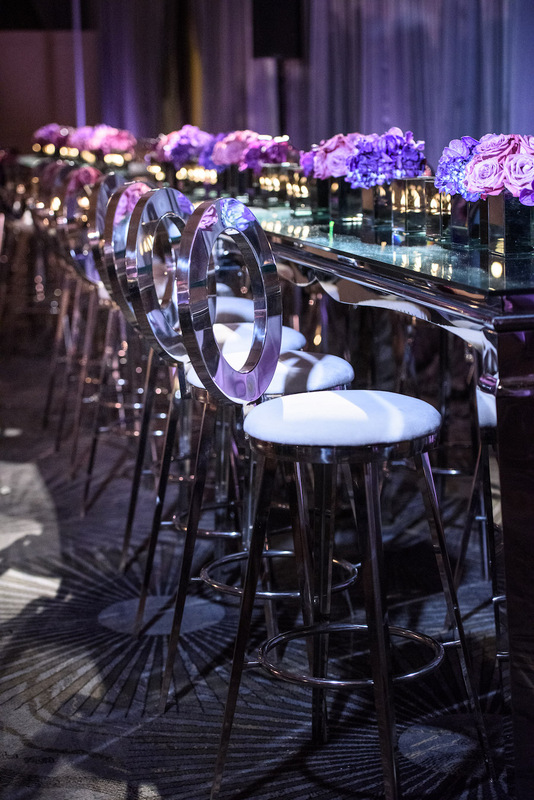 Even the silver bar-rack that stood inside the squared bar reflected the purple haze from the party decor. 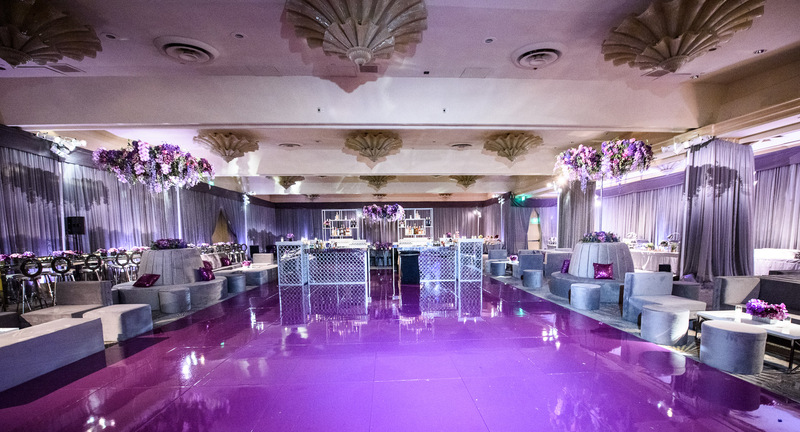 Framing the purple tiled dancefloor, white couches were added to add an element of intimacy for this grand celebration. 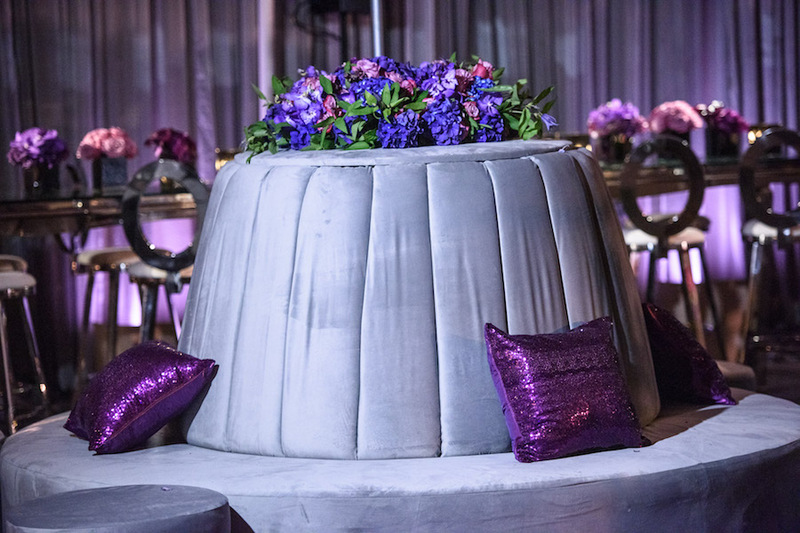 Shapes varied from couch to couch to give the room a modern twist, with each couch holding purple, shimmery pillows and matching floral arrangements at each coffee table. 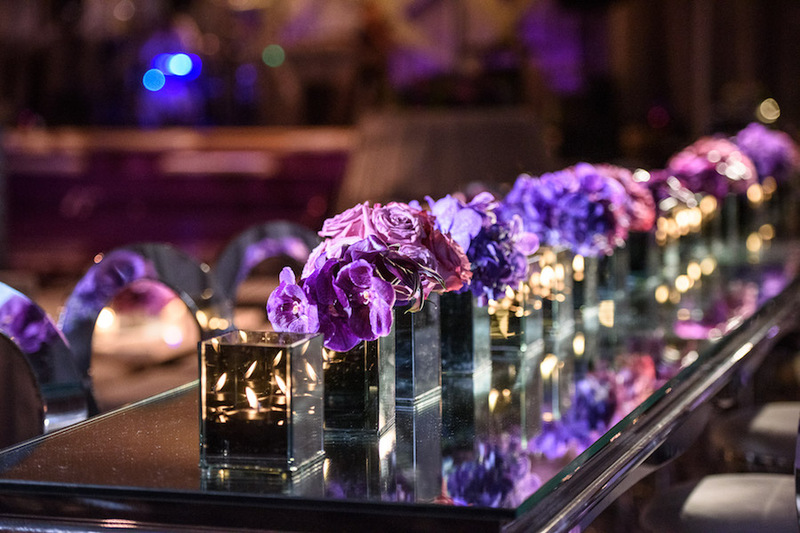 Scroll below for photos captured by Signature Exposure.